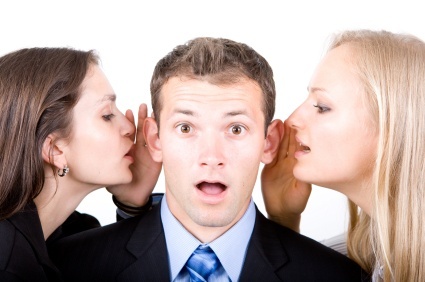 Most everyone has heard of hearsay. No rule of evidence is so more recognized in popular culture. Rarely is a trial conducted in this country when at least once if not on multiple occasions a lawyer will rise to say, “Objection hearsay.” Generally, a hearsay rule prevents a witness from testifying about what a third party said in order to prove the truth of that out of court statement. It has been said that a juror should be like a blank sheet of paper, know neither plaintiff nor defendant, but judge of the case only upon the evidence produced before him. Borrowing from this metaphor, the hearsay rule limits what may be written on that piece of paper. Although the ideas of jurors as blank slates and the hearsay rule are relatively modern, the roots of hearsay reach back to Roman times. A cousin to the hearsay rule, the right to confront witnesses is contained in the United States Constitution. The Confrontation Claus of the Constitution provides that “in all criminal prosecutions, the accused shall enjoy the right … to be confronted with the witnesses against him.” Generally, the right allows an accused to have a face-to-face confrontation with witnesses who are offering testimonial evidence against them in the form of cross-examination during a trial. The right only applies to criminal prosecutions, not civil cases. The Confrontation Clause has its roots in both English common law and Roman law. In noting the right’s long history, the United States Supreme Court has cited Acts of the Apostles 25:16, which reports the Roman governor Porcius Festus, discussing the proper treatment of his prisoner Paul: “It is not the manner of the Romans to deliver any man up to die before the accused has met his accusers face-to-face, and has been given a chance to defend himself against the charges.” It is also cited to Shakespeare’s Richard II, when Richard, who set himself up and judge and jury over a dispute, says “Then call them to our presence. Fact to Face and frowning brow to brow, ourselves will hear the accuser and the accused freely speak”. The history of the hearsay rule is not quite so ancient. Writing in a Harvard Law review article published in May, 1904, J. H. Wigmore wrote, “[t]he history of the hearsay rule, as a distinct and living idea, [began] only in the 1500s and it [did] not gain complete development and final precision until the early 1700s.” Beginning in the later 1400s, the development of the jury trial, with witnesses testifying about the facts of a particular case was an important factor in the development of the hearsay rule. Interesting, it appears that prior to the later 1400s juries conducted their own investigations in civil cases. Toward the end of the Middle Ages, the function of the jury transformed from persons who were active investigators that had knowledge of the case to our present day juries who are passive triers of fact with no prior knowledge of the case presented. By the 1500s, testimony of witnesses in open court was becoming the main, thought not exclusive source of proof. During this time statements were received into evidence, but the reliability of hearsay statements was beginning to be questioned as “a tale of a tale” and “a story out of another man’s mouth. In the trial of Sir Walter Raleigh for treason in 1603, the primary evidence against him was a sworn “confession” of Lord Cobham, Raleigh’s alleged co-conspirator. Raleigh alleged that Cobham had recanted. Raleigh objected to the admission of this hearsay statement and demanded that Cobham, who was being held in the Tower of London where the trial was being held, be bought to court to testify. Raleigh’s objection was ignored and he was convicted and later executed. His conviction and execution may have helped fuel outcry against the reliance on hearsay in criminal prosecutions. During this period use of witness hearsay statements, both oral and written, including sworn statements, as was the custom in civil law systems, was becoming increasingly criticized and the reliability of such statement was increasingly questioned. One factor that may have also played a role in the development of the hearsay rule was the failure of the English system to develop a system of proof comparable to the two witnesses rule found in civil and canon law systems. From the 1600’s through the 1800’s the rule developed slowly. At first, hearsay was to fully excluded. Hearsay could be received in confirm or corroboration other evidence, though it was not independently admissible. Although the precise timing and reasons for the hearsay rule can never be completely unknown, the rule became universally accepted in the English and American legal system by the mid to late 1800s. Much has been written about the purpose of the hearsay rule. Some commentators have suggested that its purpose is to support the modern jury trial process, ensuring the parties’ right to cross-examination and confrontation. Other scholars have suggested its intended purpose is to ensure the acceptability of a verdict; control highly adversary procedures and unchecked fact-finders; or contribute the justing, protect competitive advantage and limit judicial discretion. The modern rule of hearsay has been exceptions. Most developed in common law every decades if not longer. Generally, these exceptions are tied to some corroborating factor or factors that support the reliability of the statement. Scholars may argue about how the precise development or purpose of the hearsay rule and the ideals it protects; regardless, the hearsay rule is clearly supported by worthy ideals that have withstood the test of time. In my last two blogs, I discussed the standard for simple negligence and negligence per se. What happens if you are injured as a passenger of a common carrier, like a taxi, train, or bus? What is the negligence standard for these common carriers? In such situations, the standard of negligence is elevated from ordinary care (i.e., simple negligence) to a high degree of care. In other words, negligence will mean failure to use a high degree of care, that is, failing to do that which a very cautious, competent, and prudent person would have done under the same or similar circumstances or doing that which a very cautious, competent, and prudent person would not have done under the same or similar circumstances. If you are injured while a passenger in a taxi, train or bus, you can contact me at 940.891.0003 to set up a cost-free consultation to discuss your case. I look forward to visiting with you next time. Brian T. Cartwright, Board Certified, Personal Injury Trial Law, AV-Rated, Martindale-Hubbell, Shareholder, Alagood&Cartwright, P.C.